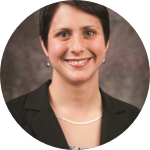 I am an Assistant Professor in Marriage and Family Therapy at Kansas State University and am passionate about partnering with schools to improve access to mental health services for youth and their families in order to reduce disparities in mental health, educational, and social outcomes. I experienced WoWW for the first time during my Masters placement as the only therapist intern at a school in Houston for youth at risk for drop-out. Feeling overwhelmed with the need at the school, I tried WoWW as a way to have a broader impact. Observing the transformation of a class first hand as a clinician, I am now curious if the impact she witnessed can be quantitatively measured and if these results can stand up against more rigorous testing with diverse populations. I am thankful to have this partnership with the Geary County school district and work with others whose passion and drive to make a difference in the lives of students and families inspires me daily.